Present day enterprises are powered by information. But information goes futile, unless it is actionable. In today’s fast-pace world, extracting the latest and up-to-date information from the reams of available data, and converting such information into actionable insights in real time is a key component for success. 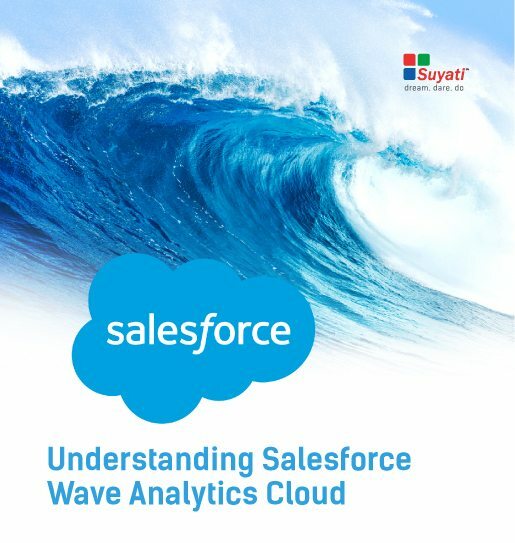 Wave Analytics, the latest cutting-edge analytical tool from Salesforce serves this purpose admiringly well. Salesforce Analytics Cloud is an online analytic engine that pulls in data from Salesforce CRM apps automatically. Salesforce Wave Analytics Platform is an added layer above this cloud engine, hosting specific applications produced both by Salesforce and third parties. Data is futile, if you cannot convert it into actionable insights. Wave Analytics is the latest cutting-edge analytical tool from Salesforce that turns information into fruitful insights in real-time.